The drawing above represents when the ship that Paul was a passenger on, could not stand up to the wind called Euroclydon. The ship sunk, but not a soul was lost by the promise of God. 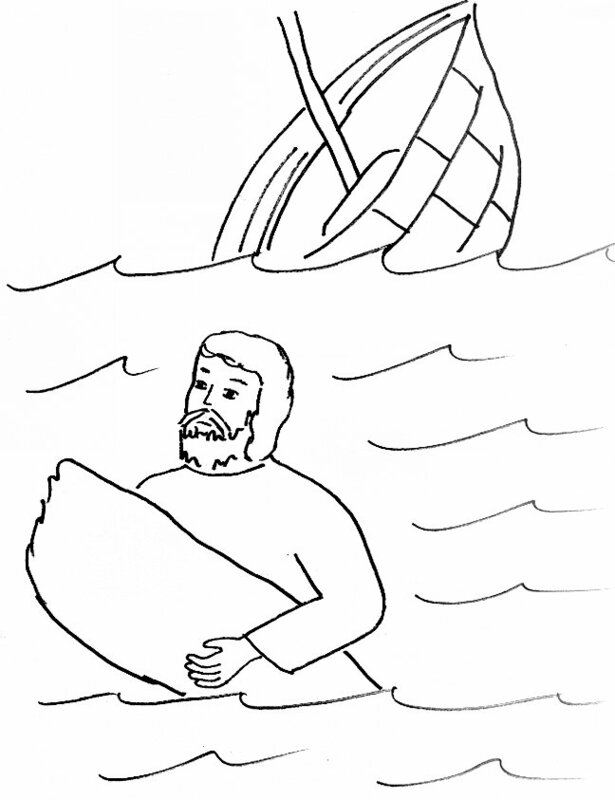 This entry was posted in Acts, Bible Story Coloring Pages and tagged bible coloring page Paul is shipwrecked, bible stories, bible story coloring pages, Christianity, wind called Euroclydon. Bookmark the permalink.